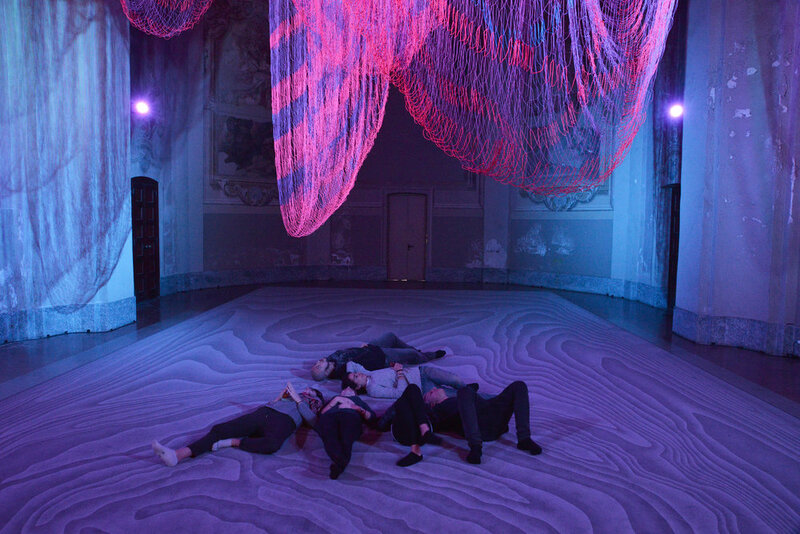 This experiential artwork is an immersive environment which invites visitors into its soft folds and ethereal masses as it transforms with colored light. 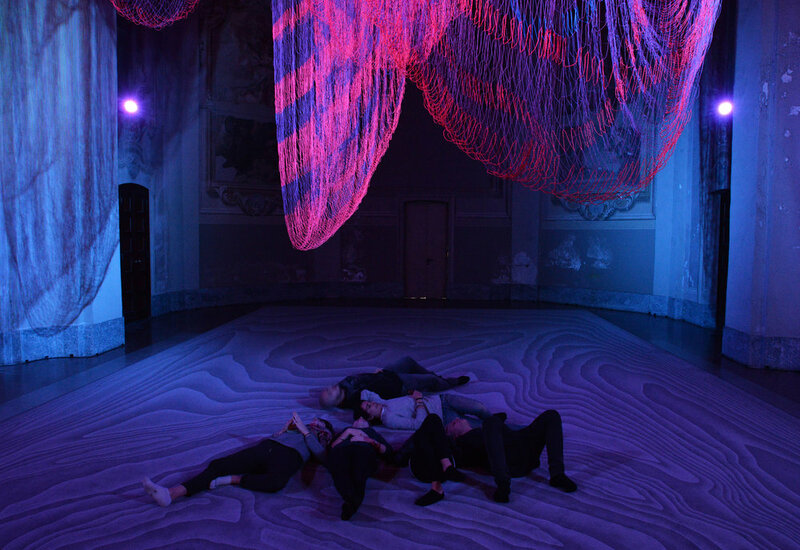 The installation challenges the viewer to imagine the 3-dimensional volumetric forms embedded within the knotted lines of colored fiber suspended before their eyes. The work is created with a combination of hand-knotting and industrial looming of the custom-braided twines. 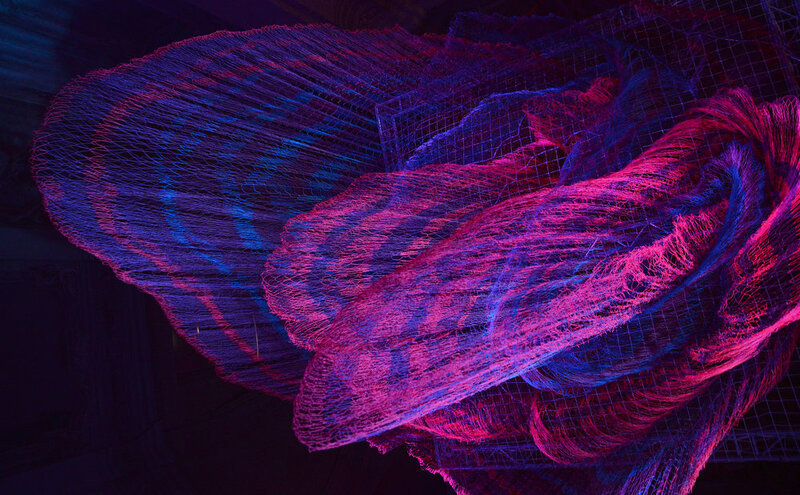 The method requires that the 3-dimensional sculptural environment be modeled digitally using custom software that the artist has been developing with collaborators over the last four years. 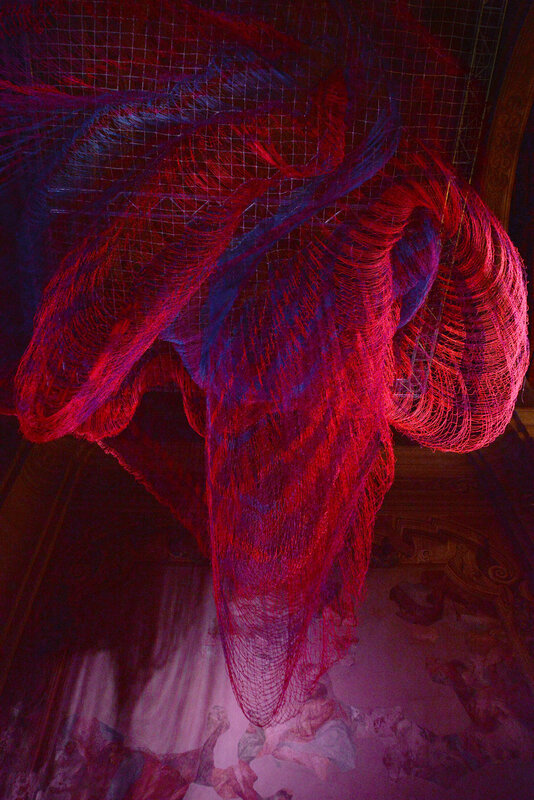 The voluminous sculptural installation is complimented by a custom-made textile carpet beneath, which depicts line drawings of the 3-dimensional volumes hidden within the netting. The textile flooring process begins with the creation of a digital drawing and a sheet of textile flooring made from recycled nets which is injected with colored dyes. The work has variable dimensions and can be adapted in various ways to site conditions. 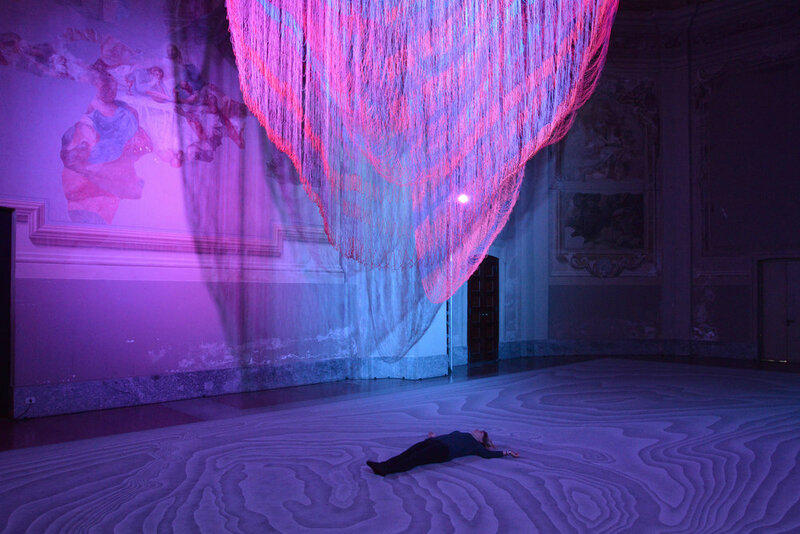 For its first exhibition, it was installed at an international exhibition of contemporary fiber art (‘Miniartextil’) at the former Church of San Francesco in Como, Italy. It then traveled to Paris where it was installed at Le Beffroi de Montrouge. The title ‘Possible futures of a line, traveling through space and time’ reveals the idea that measurements of time are not always linear. Echelman imbues the trajectory of each line with a narrative history, and thrusts the viewer into the center.